Raising capital isn’t the easiest thing to do. You could be starting a business or have an already established business – an infusion of capital is always a great thing. But while you are introducing new funds to your business, it is important is to decide how to raise capital. There are a multitude of factors that determine how to raise capital for your business based on what kind of an enterprise you have, the stage your business is in, how you want your operations to grow, how much it would cost to get the money etc. To start with, as an entrepreneur here’s what you need to do: research, research and more research. From infrastructure, costs, competitor’s analysis, to time lines, and expansion, get information about every aspect of your business so you know exactly what you are getting into when you get to the ground. On the other hand, make it a point to network and build contacts, get business leads and vital industry information from other entrepreneurs and identify potential partners that can help in your funding process. After all, you are learning how to raise capital! When it is about how to raise capital, start-up entrepreneurs must present themselves and their business idea in good light. It is also essential to project your commitment and belief in the venture to investors so they believe your idea is a good investment. Financing isn’t easy when it comes to start-ups. So explore all possible sources that you can tap into before you think how to raise capital for a business. If you are starting a business, you need start-up financing to get your business off the ground – for leasing equipment and office development. For an easy and reliable option, you could take a term loan from your bank or a guaranteed loan that covers as much as 80 percent of your principle. Got savings, insurance, mutual funds or credit cards? Use them for financing. But when you use the funds for your business venture you will need to understand which of the options have scope of bringing in better returns on investment. If your own funding is not an option, there is another great way of raising capital via equity – friends and relatives. Though it may seem shameful to ask them for capital, it seems to be quite a popular option because according to a survey it is the option of choice for 30% of entrepreneurs who are wondering how to raise capital to start a business. If you aren’t established yet, a private loan would be a good idea because getting it from a bank would be rather difficult. How about an “angel” investor – someone who gives you money for returns on investment? Or what about some venture capital – just find capitalists who are in the business of setting up other businesses. A good place to look out when you want to raise capital is your office – your own employees. If you have a committed workforce that really believes in the organisational goals, then you might even find an employee who would help you raising capital via equity and become a potential investor. When you are buying fixed-assets, you could look into a 504 loan. Need a little cash? Get a microloan. If you have assets, you could use them for funding. If you have a product that can bring you royalty, you could get a loan based on that. Another option is to take your business out to the public by offering to sell shares in your company. However, remember that capital equity is more risky than any other type of funding. There are tons of legal points that surround this project, especially if it’s for budding business enterprises. Public equity involves a great amount of stress in terms of running the company and a considerable loss of control. The advice of a knowledgeable attorney is absolutely essential. 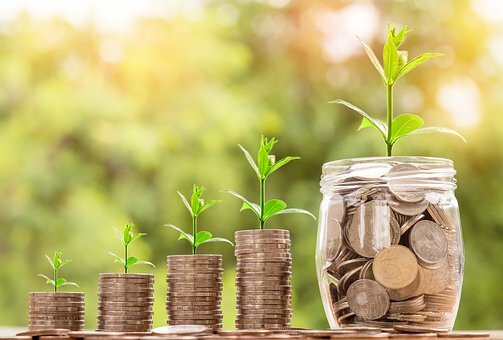 After you decide on how to raise capital, ensure you do all you can to make potential investors perceive your business to be a lucrative option – you must sound clear about your business goals, your business should evoke a sense of high ROI, and investors should want to be a part of the success story. Thereby helping your task of how to raise capital. Always talk to a qualified business attorney who may not always be your family lawyer. The attorney needs to be abreast with laws pertaining to raising capital, the recent changes, and make sure business contracts are written to protect you and your business, especially the fine print. While you think how to raise capital, you should always plan ahead, do your homework, keep the numbers at your fingertips, take advice from those who know what they are talking, and look for ways to increase the probability of raising capital. If you’re going in for a venture capital, understand that investors don’t want to hear about you, or even your idea, they want to see future in the business you have running. Be honest, be clear about terms, and be ready to answer questions like: why you want to raise capital, why you deserve you get funded, what makes your product or service stand out from your competition, and where do you yourself in the future. Yes, obtaining capital is the first and foremost concern when it comes to taking your business to the next level. But an equally important challenge is ways to raise capital that aren’t very heavy on the pocket and putting the capital to use such that you are able to maximise return on invested capital. So before you act, deliberate on the ways to raise capital best suited for your business, make sure you budget right, adhere to the timelines, analyse the method of investment, formulate a backup plan, buffer for contingencies and garner more value from your investment.